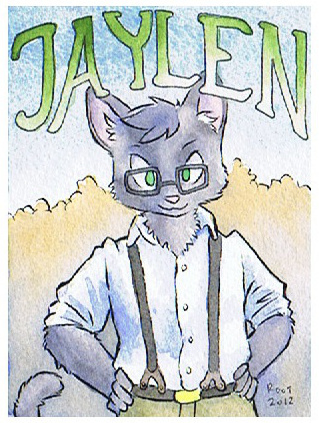 A very nice watercolor badge of my lynx character. The tail's a bit long, but whatever. I really liked that outfit that astolpho put on him. The glasses were a new addition too.